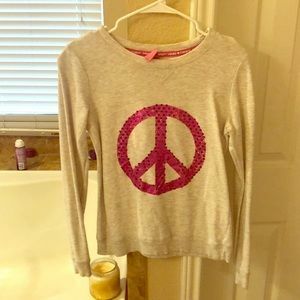 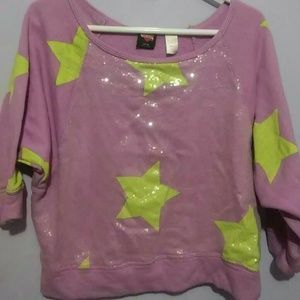 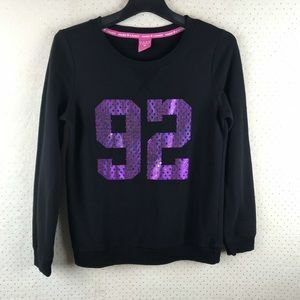 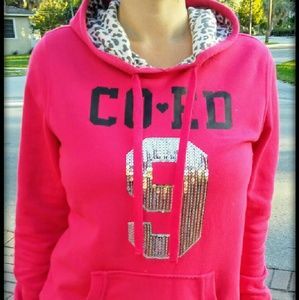 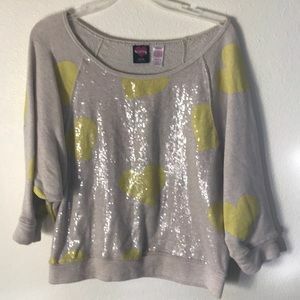 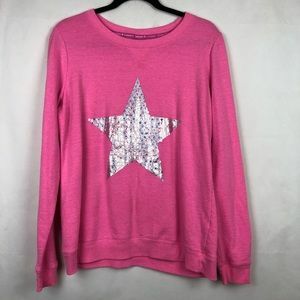 Super fun off the shoulder sweater. 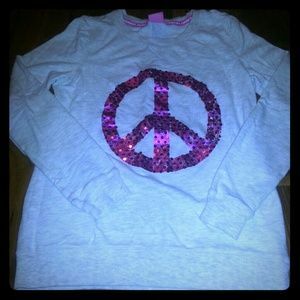 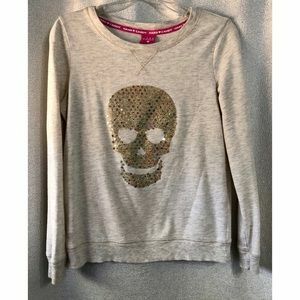 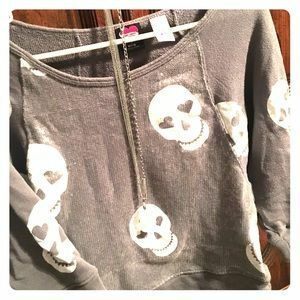 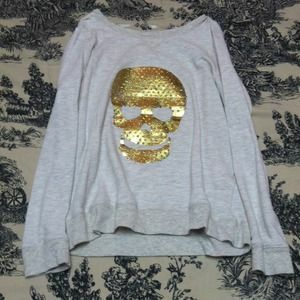 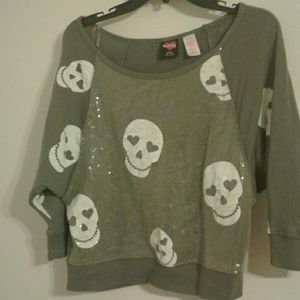 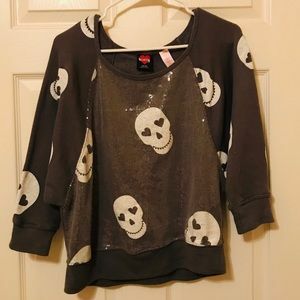 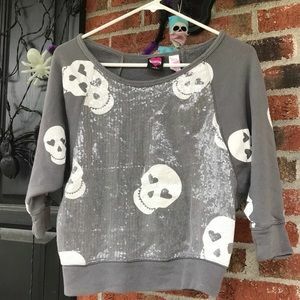 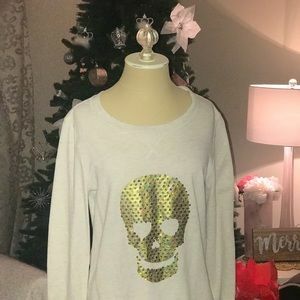 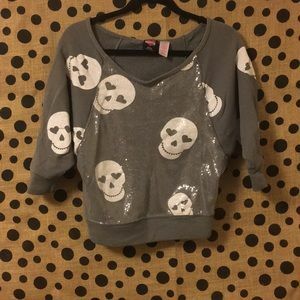 Grey and white sequin skull top. 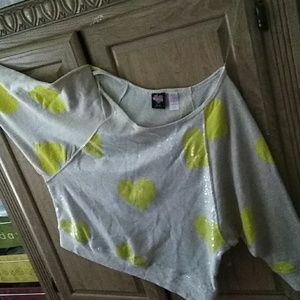 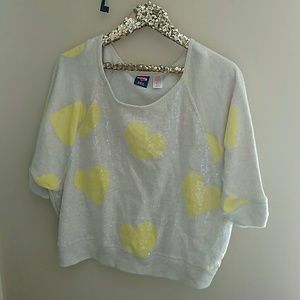 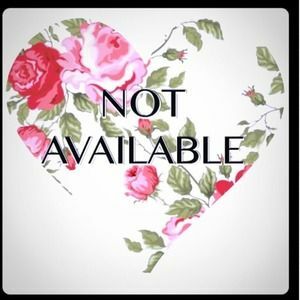 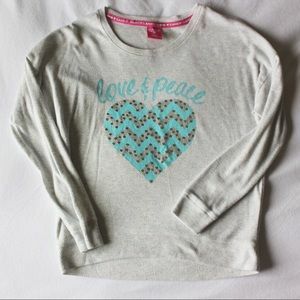 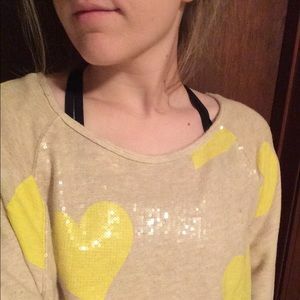 Hard candy tan shirt with yellow hearts.